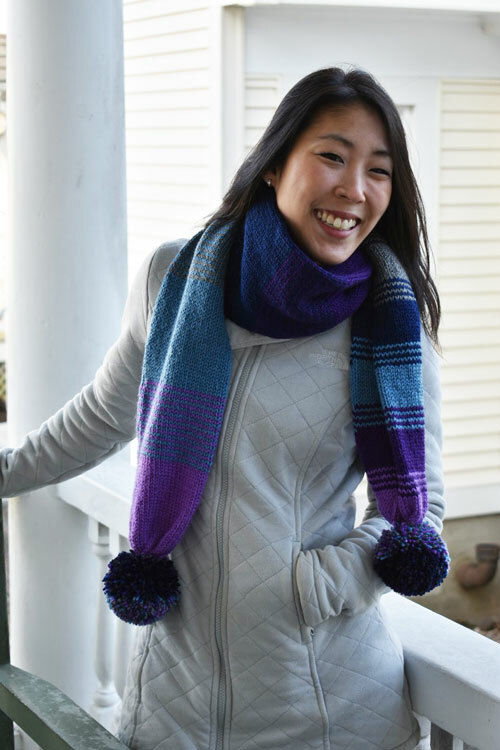 This one of a kind knit scarf transitions from one color to the next with varying width stripes. Made in a super-soft acrylic, it has two-toned pompoms on each end. It's double thick to keep your neck nice and warm for the winter months! It was made in a smoke-free, cat-friendly house. If you will need to launder this scarf, please hand-wash gently in cool water and lay flat to dry. $60.00 with free shipping in US only. No international shipping.